If you love Rustic, Whimsical and Wildflowers then you'll love this outdoor Barn wedding! 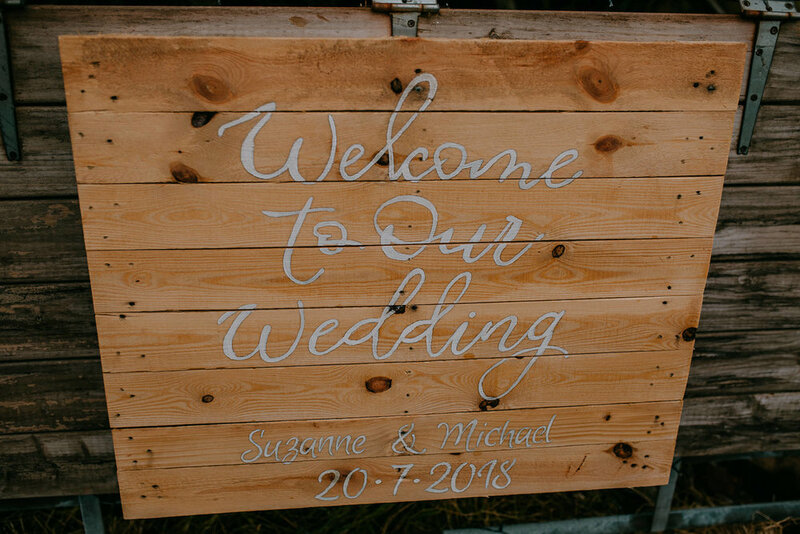 When Suzie and Michael first got in touch with us about their rustic farm wedding in Dungannon, we were so excited – they were planning a relaxed countryside wedding with a church ceremony, live music and lots of personalised details and we knew instantly that this was going to be a magical wedding. Suzie and Michael are the sweetest people, totally chilled out and well up for an adventure, and we couldn’t wait to shoot their wedding! I began the morning at Aghaloo cottage, where Suzie and the girls were getting ready together. There was such a happy, chilled out vibe as the hair and makeup team worked their magic. 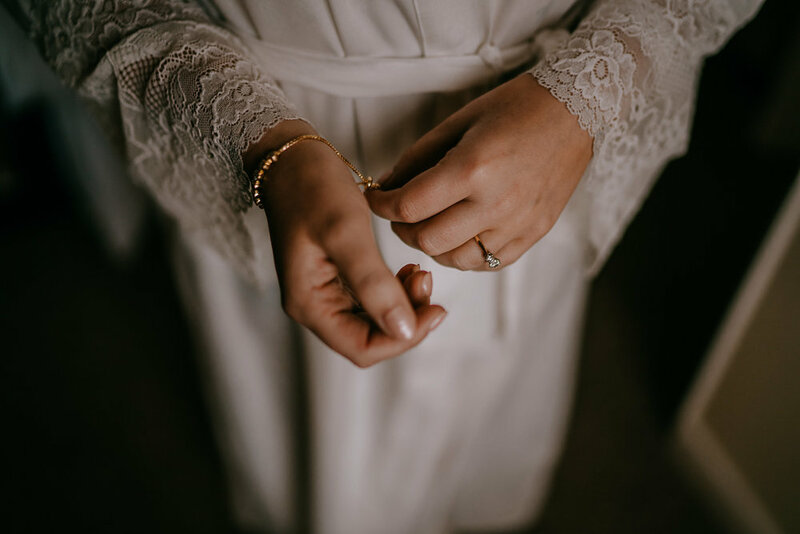 Suzie paid so much attention to detail and had her bride tribe in matching outfits and cute slippers and presented them with gorgeous matching jewellery. 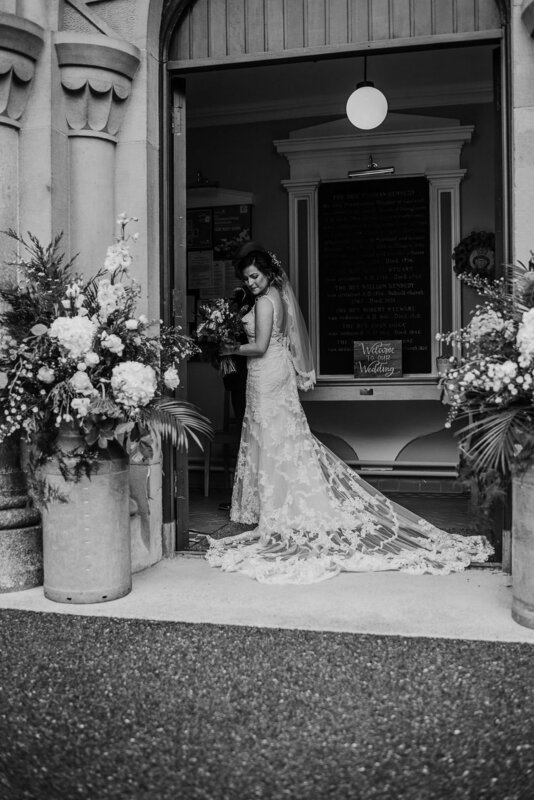 Suzie wore an incredible lace Stella York wedding dress and looked so beautiful. Her jewellery was simple and elegant and complemented her look perfectly. 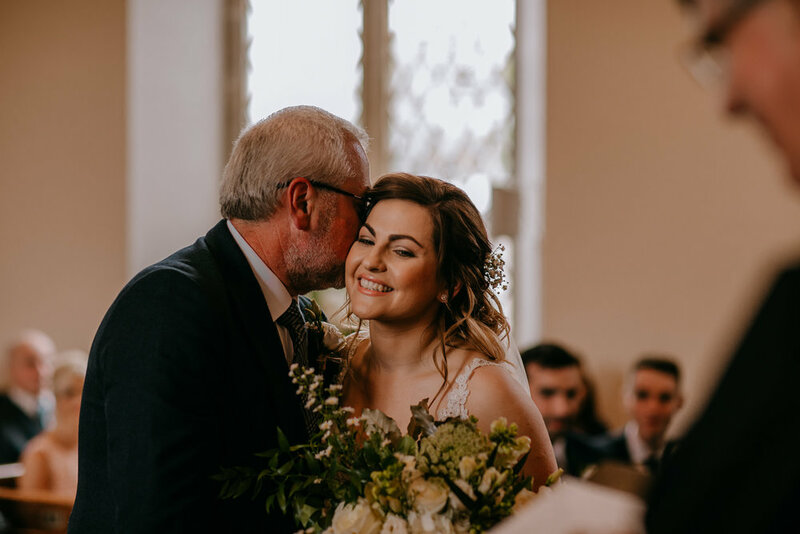 I totally welled up when Suzie walked down the stairs to meet her father, it was an incredible moment to see his face light up seeing her for the first time. Mr Beardy joined Michael and the boys in Robeth cottage just across the street from Suzie. 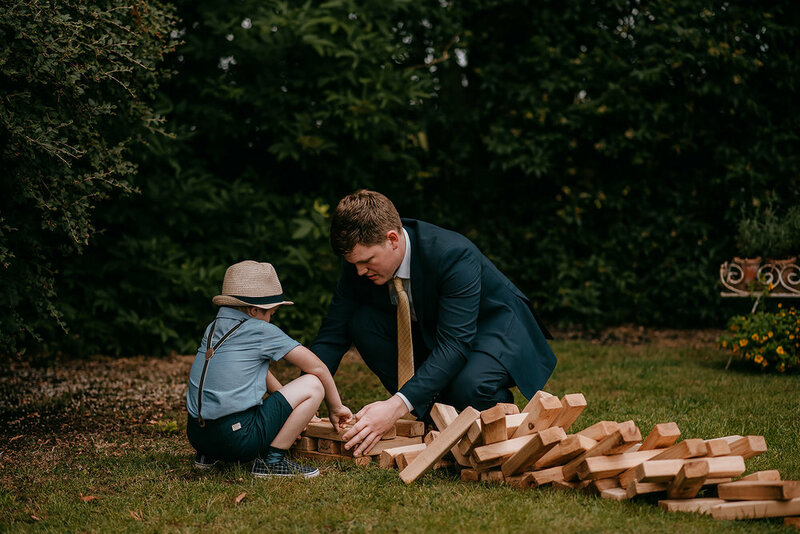 Suzie had gotten Michael some whiskey as a gift so the boys made sure to have some bonding time over whiskey before setting off for the ceremony in some fancy wedding cars! The ceremony took place in their local church in Dungannon. The ceremony area was decorated with foliage and wildflowers by the floralicious designs, which was so perfect, as it really complemented the style of the rest of the wedding day. 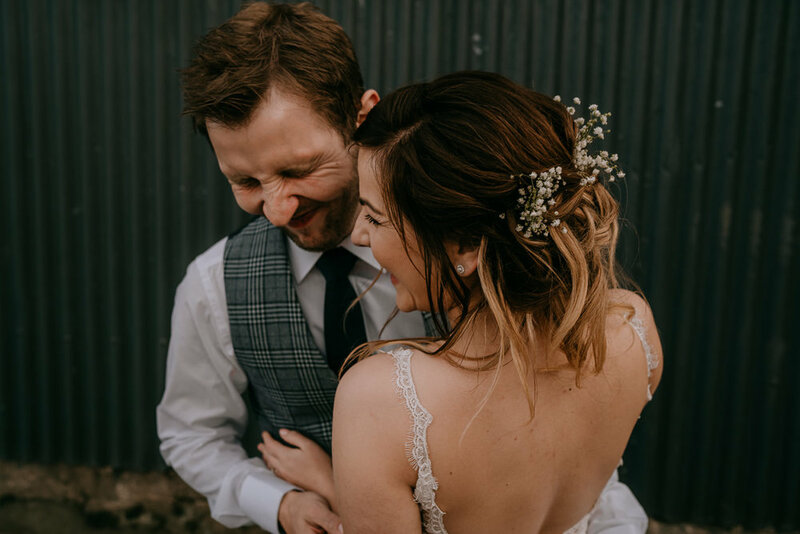 The ceremony began with friends playing live music, several beautiful readings from friends and family, and finished with them walking down the aisle and being showered with colourful confetti. It was a moving ceremony, full of excited hand squeezes and so much love. After the ceremony, the couple mingled with their guests, which was the perfect time for us to get candid photos. We left the couple to enjoy chatting with their guests and headed to the reception venue, which allowed us to capture the venue before all the guests arrived. 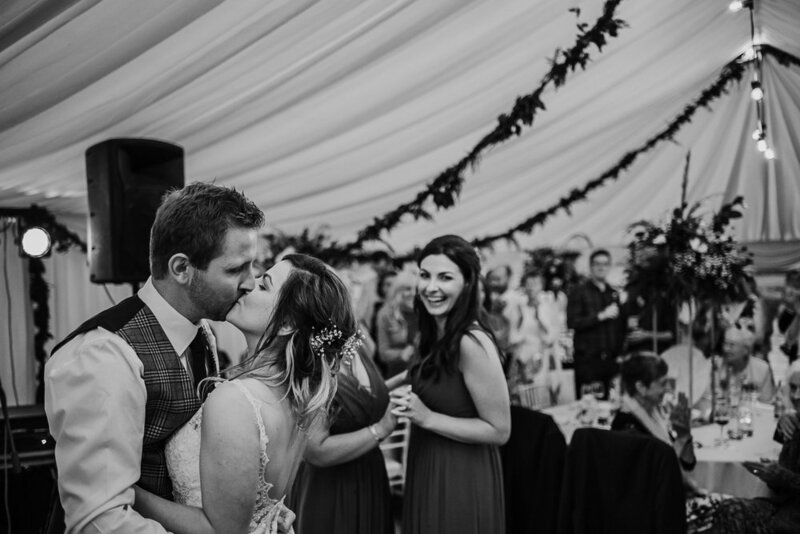 Suzie had put so much effort into decorating and styling the venue so we made sure to capture all the gorgeous details she had planned. 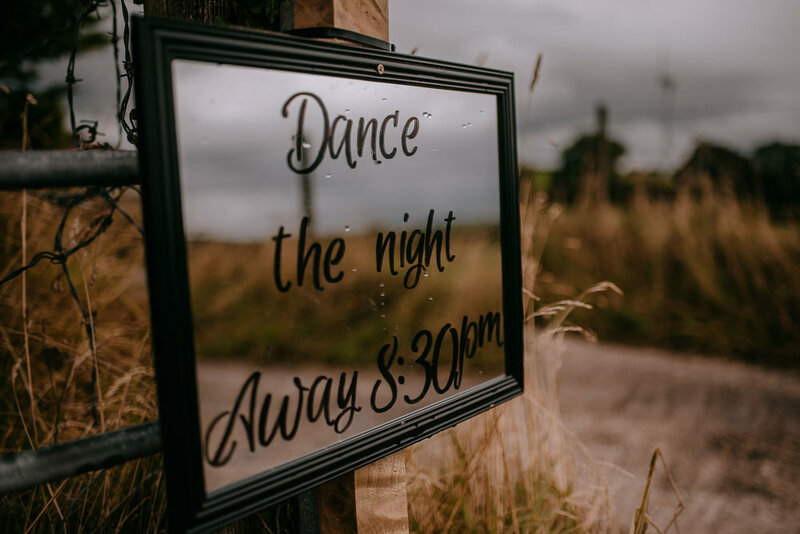 The wedding reception took place on Suzie's grandfather's farmland, which was adorned so beautifully with foliage, wildflowers and loads of personal details. It was totally Pinterest worthy and full of hidden treasures. 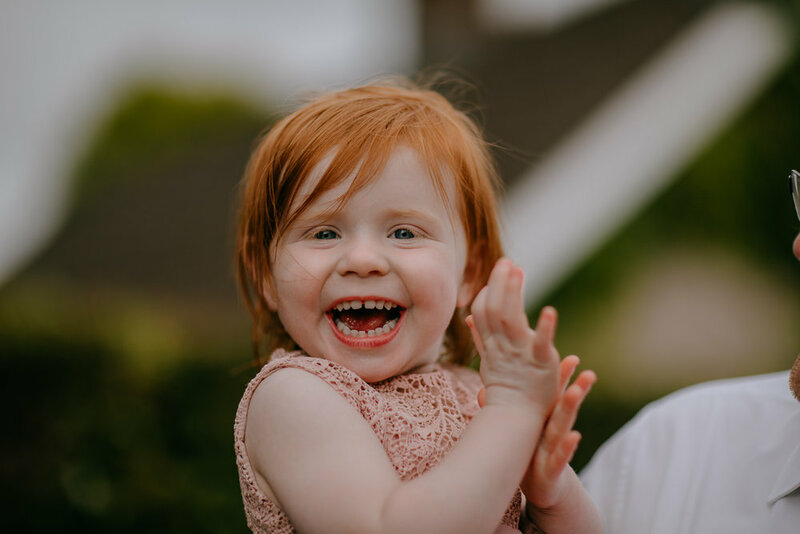 The surprise on Suzie’s face was priceless when she spotted that her mum had organised an ice-cream cart from Grahams, the icrecream van was a big hit with guests especially as it was a summer wedding! 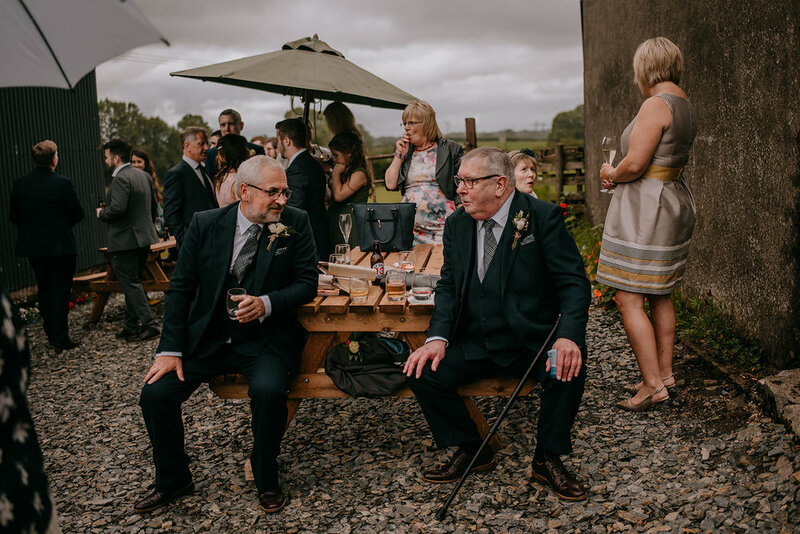 Guests mingled around the barn and were treated to more live music as we took Suzie & Michael off for some portraits in the secret garden.... yup they had a SECRET GARDEN! The Secret Garden was a real treat, with a custom-made swing, a beautifully lit pathway and loads of interesting areas to get photos in! We also took team groom and team bride for some portraits where we had the best of craic! The boys embraced their inner blue steel and the girls gave us some epic moves that beyonce would be jealous of! Everyone was then called in for dinner, which was the most amazing array of beef, seasonal vegetables and salads by French Village all cooked on site. They had speeches before dinner, which were the perfect balance between funny and really touching. After dinner, we spotted that the clouds were breaking and giving us a glimpse of a sunset so while guests were finishing their desserts we suggested getting a few more photos while it was happening, the couple were totally up for taking a quick jump in the fields to grab that beautiful golden sunset light! 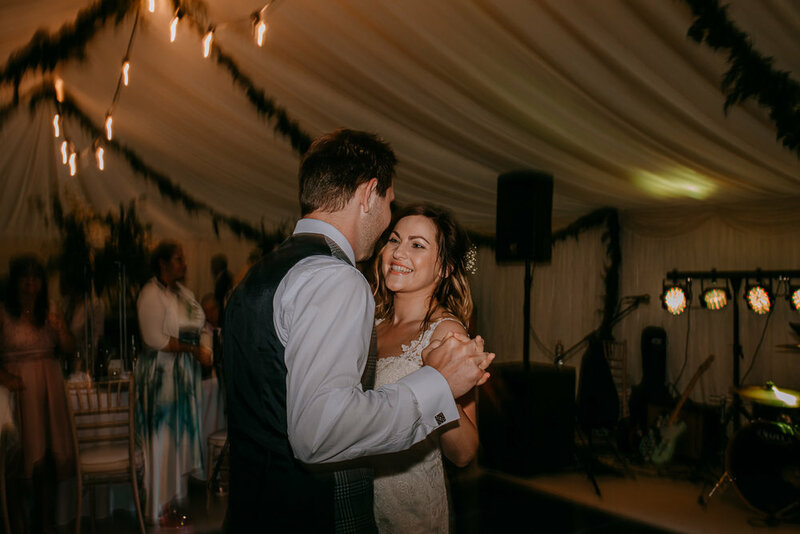 The band started when we got back and the dancefloor was packed from the moment the first dance finished until the very last song. The evening ended with the most Pinterest worthy sparkler exit, which was such a wonderful idea – everyone got really involved and excited and it was such a lovely way to end the evening. 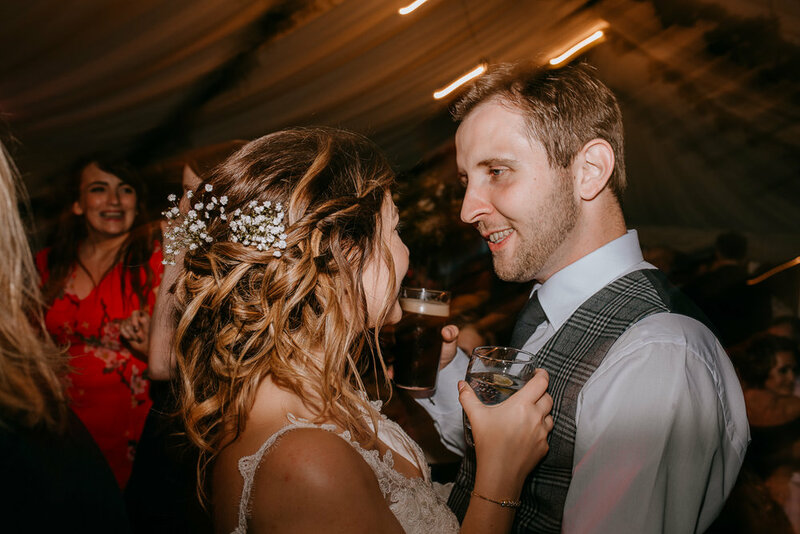 The whole wedding was so beautiful and a lot of fun, from the bride’s incredible dress to the icecreams and sparkler exit, everything was super chilled, reflected the couple perfectly and had everyone beaming from ear to ear. 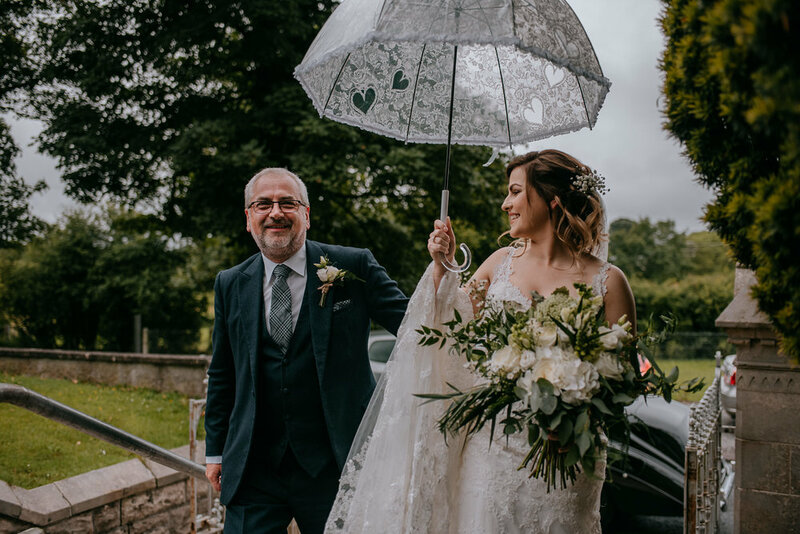 One of the best parts of the wedding was the venue because it had so many hidden treasures like the secret garden, surrounding fields and Barn and Suzie & Michael were able to have the freedom to have their wedding day just the way they wanted it. The food was also a talking point at the wedding – because it really was the best food anyone had had at a wedding. We loved everything about this rustic, outdoor Barn Wedding wedding so much. Suzie & Michael thank you for letting us be a part of your incredible celebrations!